Almost two weeks into the school year, the city's Department of Education and the teachers union are at odds over whether classrooms have enough materials. Many classrooms still don't have new textbooks, workbooks and visual aids tailored for city students, according to the United Federation of Teachers, which represents city educators. In addition to the new materials, teachers say they are also missing basics such as building blocks for math classes and copies of the novel “Charlotte’s Web,” which second-graders were supposed to start reading last week. Some of the teachers are trying to bide the time with last year's books, union officials say, but they aren't up to date with the latest Common Core standards. The lack of materials is frustrating some parents, like Anisa Dalmeida of Harlem. "It's really sad that kids don't have what they need to get going," she said. But DOE officials say the city is in the middle of its largest book shipments in history and that its current delivery of more than 1.6 million books is on schedule. The remaining materials are being delivered within the next few weeks, also on schedule. 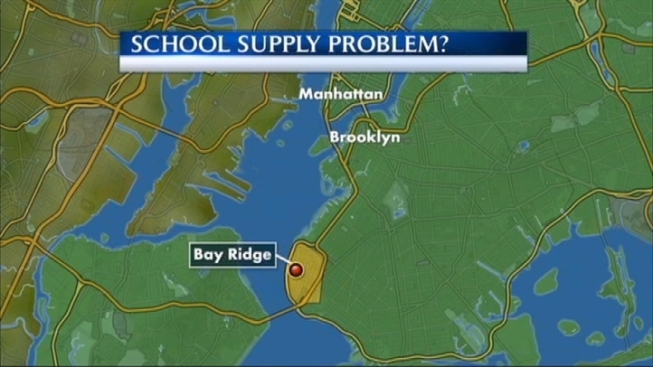 Some of the materials that have yet to be delivered are designed for second-semester coursework, according to New York City Schools Chancellor Dennis Walcott. "We've honored our word, and if there are cases where materials need to be delivered, we'll follow up and see what happened to it," he said. Last year, most students from third to eighth grades failed standardized tests because they were not prepared in Common Core curriculum. Andrew Siff and Melissa Russo contributed to this report.